Don't let bugs ruin your summer fun! Save your plans with Combat! Over the last year I have kept it no secret that it is a constant battle to keep away the bugs! Between roaches and ants I think I am about to lose my mind! Aside from the obvious factor that having bugs crawling around the house is just creepy and gross there are also many health concerns involved. Recently I was given the chance to review some new Combat products. 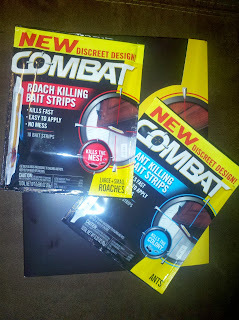 Since we struggle with both roaches and ants the great people at Combat gave me the chance to review both Combat Roach Killing Bait Strips and Combat Ant Killing Bait Strips. When I got them I was a little surprised by how small they were, but since there was ten in each package I figured that was ok since I would be able to spread them around. As you probably know by now we spent the last 8 days away from the house, and what a better time to rid my house of pests then now! I discovered that reading the directions meant I popped them off the walls so before trying to stick I removed the front cover and the back sticky :) placing the small strips in my heaviest problem areas I stuck down 5 ant strips and 5 roach strips. It was really fast and easy, and what I liked best is they could be placed out of sight from my cats, because after all I would not want them getting sick while I was gone :(. Coming back into the house I was so eager to see how well this little strips worked. I noticed many things. First I did still have bugs, but they were not adults and for the most part I have not seen adults. My conclusion is I have killed off one generation! 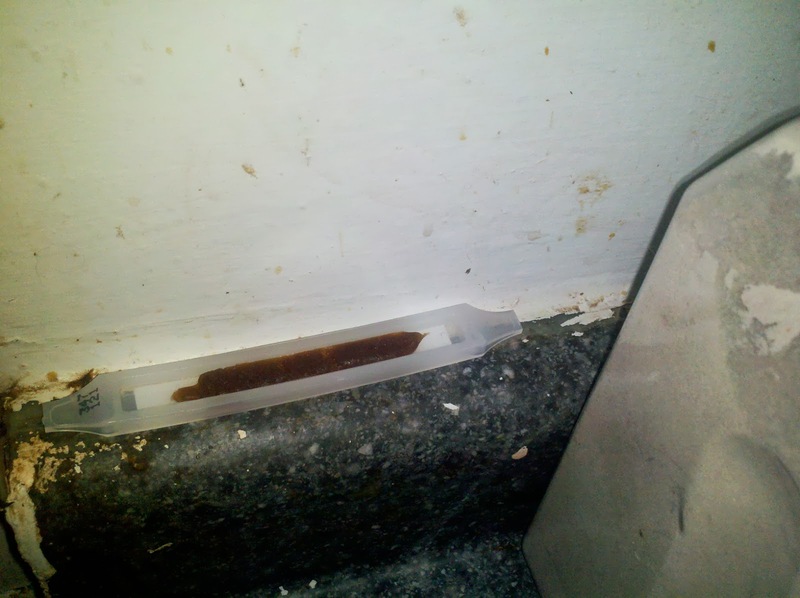 So I am cleaning, cleaning, cleaning and replace the obviously eaten strips with fresh ones! I am really excited to know that this may finally be a solution to my ever constant roach problems. Now as far as the ants go, that is a battle I may never win :( the numbers are so great outside that I may always have a couple inside my house, but if I have to chose between roaches and ants I will deal with my pesky ants any day! And who knows, maybe these strips are working on them to, only time will tell! I hate bugs they give me the willies! thankfully we don't have a problem in the house with any. I would want to move LOL!